No. 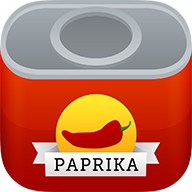 There is currently no web version of Paprika. We prefer to focus our efforts on developing our native Mac and Windows versions instead, as we believe native apps offer a better user experience compared to web apps. In the future, when our native apps are closer to feature complete, we might consider developing a web version then. But we're still a long way from that point.